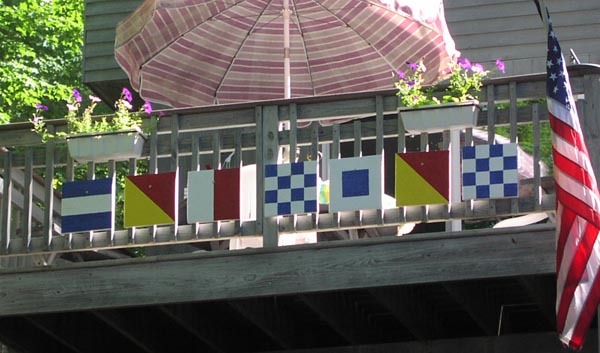 International signal flags used as name boards on your deck, dock or at the pool. Each letter is made of rough sawn pine 12" x 12" and one inch thick. Hand painted. A bright and colorfull way to proudly display your name or initials. Johnson is displayed and have been in the weather for three years. See What Your Name Looks Like Click Image Below.